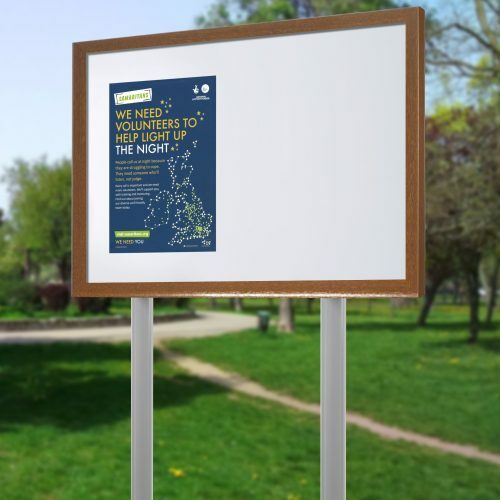 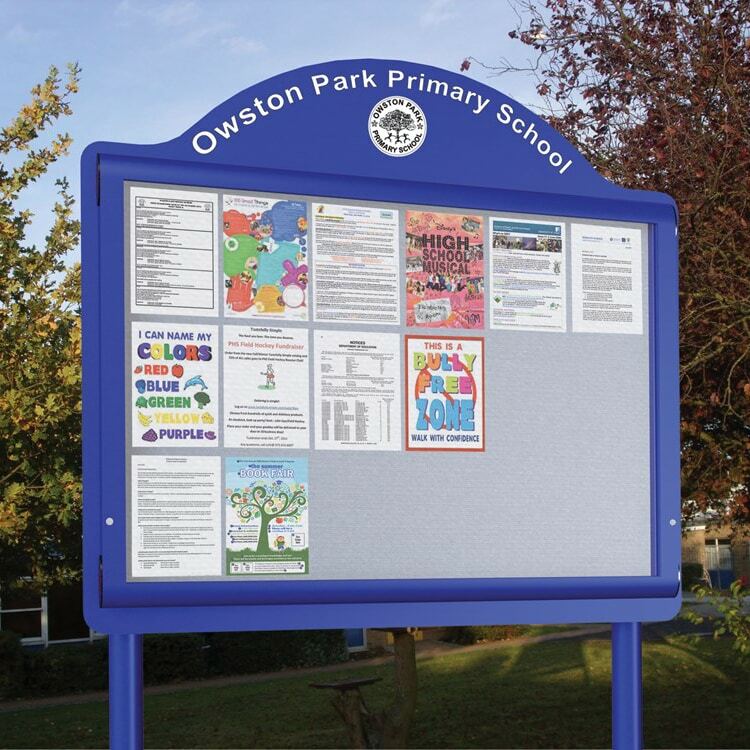 Simply choose the backing board and showcase colours and Spaceright will contact you directly to discuss your design requirements. 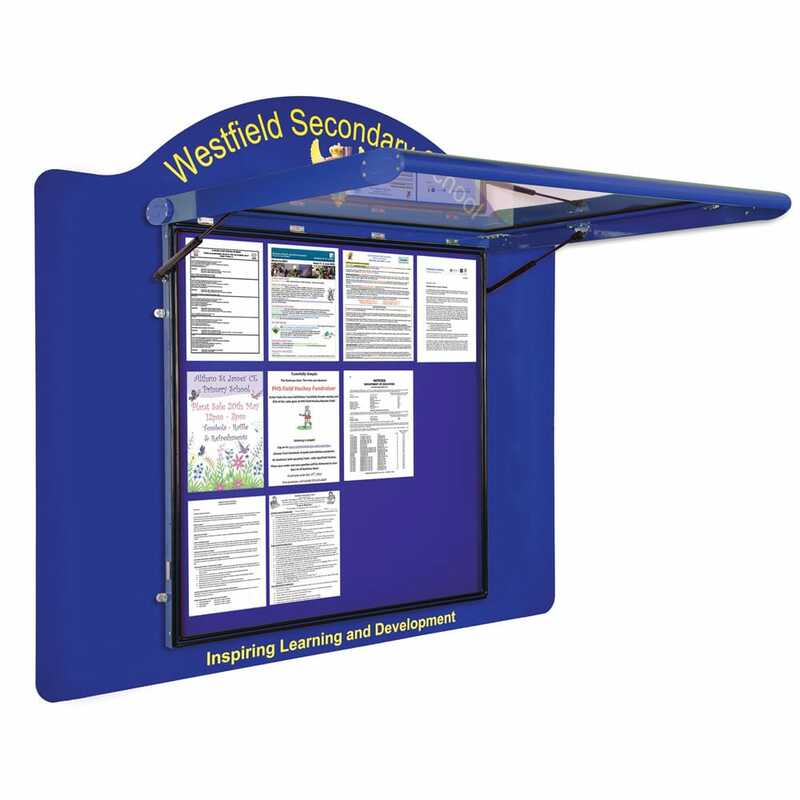 The showcase features ‘gas strut’ assisted door opening for ease of use and hassle free changing of information outdoors. 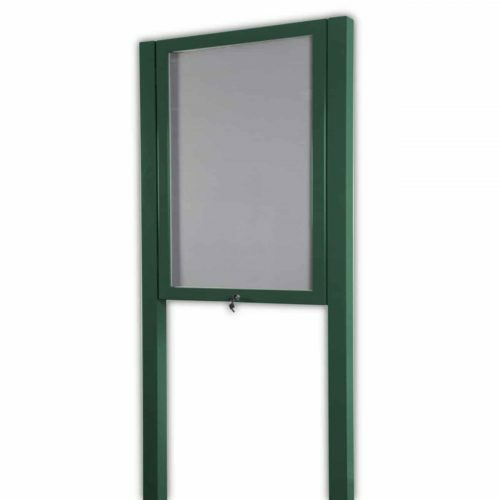 Hinged and double locking door features fire rated and virtually shatterproof polycarbonate glazing. 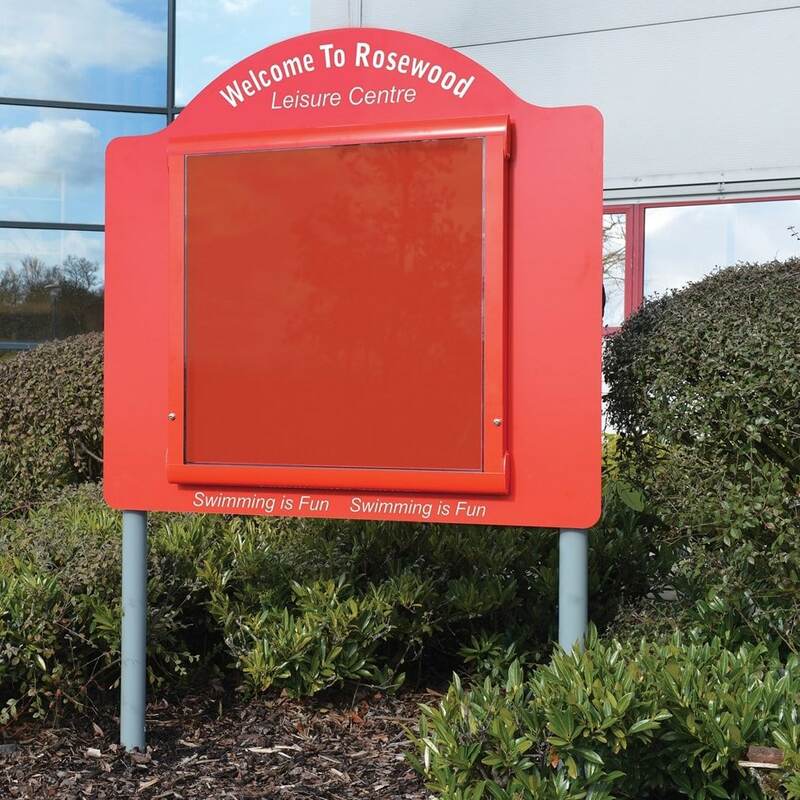 Fully fire retardant, noticeboard core and bonded textile are tested as a composite to Class 0 and comply with BSEN13501: 2002. 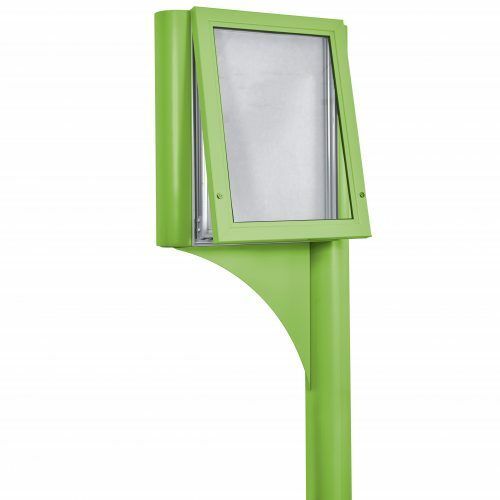 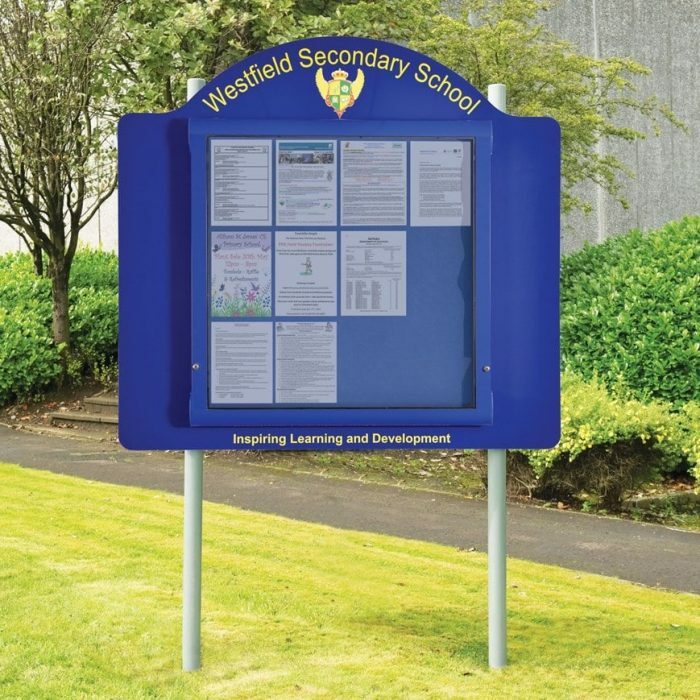 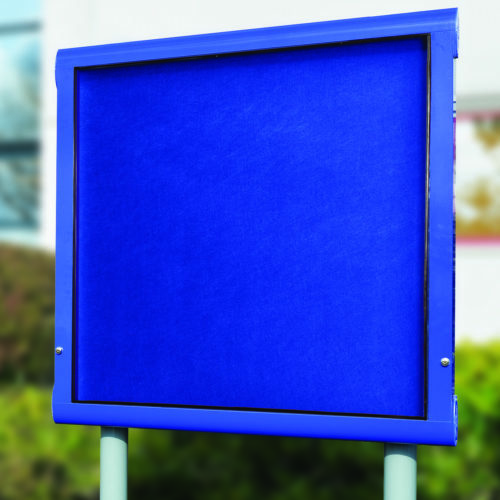 Available in 4 frame finishes: – Blue, Red, Green, White and in 4 Notice Board Colours:- Blue, Red, Grey, Green.